Last week I had the opportunity to help my friend Lisa do some buying at the Magic trade shows in Vegas. I had a blast! I was introduced to different designers and brands and I met some great people. Lisa bought some great pieces for her Nantucket store. I really liked the French Connection pieces she bought at our last stop. She also bought some really nice bags and totes. If you visit Nantucket this summer you need to shop at her store. The address is 44 Main St. 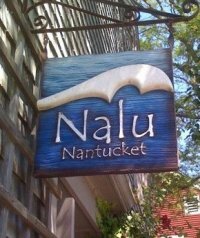 Check out the Nalu Facebook page where she posts pictures of her new pieces and updates you on sales.